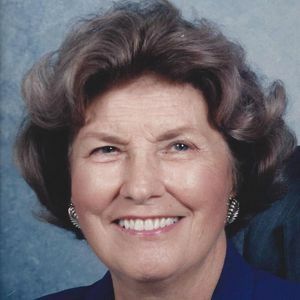 GREENVILLE - Nelda Marie Revlett Vincent, 90, of Greenville died Sept 19, 2014, at her home. She was born in Muhlenberg County on Dec. 20, 1923. She was a member of Mount Pisgah Baptist Church in Bremen. She was preceded in death by her husband, James Robert "Shorty" Vincent; a granddaughter, Stacey Eaves; and three sisters, Maggie Smith, Dorothy Asher and Edith Bridges. She is survived by a son, James Robert, Jr. and Bonnie Vincent of Madisonville; a daughter, Deborah Eaves of Greenville; four grandchildren, Todd and Tara Eaves, Lauren Eaves, James Robert Vincent III and Mandy L. Vincent; and three great-grandchildren, Quinn Marie Eaves, Harper Eaves and Maxwell Vincent. Funeral services are at 3:00 pm Sunday at Tucker Funeral Home in Central City. Burial will follow in Mount Pisgah Cemetery in Bremen. Visitation for Mrs. Vincent will be at noon Sunday. 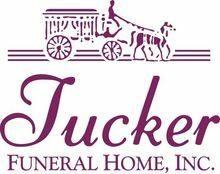 Online condolences can be made at www.tuckerfuneralhomes.com . The family requests that expressions of sympathy be made to Baptist Health Hospice in Madisonville or the Mount Pisgah Baptist Church Cemetery Fund. The beautiful and interactive Eternal Tribute tells Nelda 's life story the way it deserves to be told in words, pictures and video. To Nelda's immediate family members, we ( Billie & Kimberly Fraley ) her cousins, are SO extremely late in getting you out our Sympathy Card. WE'VE had the cards since this 1st happened. My mom Billie was in the Hosp at the same time of her funeral. And we've had a (great grandson for Billie great nephew to me) be born @ 25 wks instead of going to full term weighing 1Lb 10 oz. & sent to Kosair for 5 months just now getting home etc & lots of health issues between him, mom & me that I haven't been myself & have not done all the normal things I usually do: like be on time sending cards!!! So please forgive us. It is no excuse, but that's some of the reasons to help explain our/my failure. You are not the only ones that I have neglected. It's everyone! I'm very ashamed & sorry. We loved her so much, had our own special times & memories with her. She was a wonderful LADY. Our love to you all. My sympathies to the family. I am a genealogist and feel certain we are related. My paternal great grandfather was Robert Dudley Vincent (1877-1934) lived all his life in Muhlenberg County. His son, F. E. Vincent (1901-1985) was my father's father who was Robert Edward Vincent (1926-1985). My ancestry in Muhlenberg County, KY is extensive. If anyone is interested, please email me at the address on this message. "She is at rest now ... all her suffering and sorrow gone". Deborah & Jim Bob.............Cherish ALL of Your Memories that NO ONE can take them away from You............Both of Your Parents were LOVED by EVERYONE!!! God Bless You & Yours!!!!!!!! Jim Bob and Deb...So sorry to hear of your Mother's passing. She was always s nice lady to me and some of our "rowdy" friends. You parents were both special people to our community and were well liked by everyone. They did a pretty good job of raising their kids too! May God comfort you during this difficult time ahead. Your Dad, Shorty, was a friend of my Dad, William Luther "Pat" Patterson in Sacramento. Daddy always said your parents were 'mighty good people'. My Dad died in 1998, but I had heard him speak of Shorty Vincent for years and years. My prayers and sympathy to all of you.